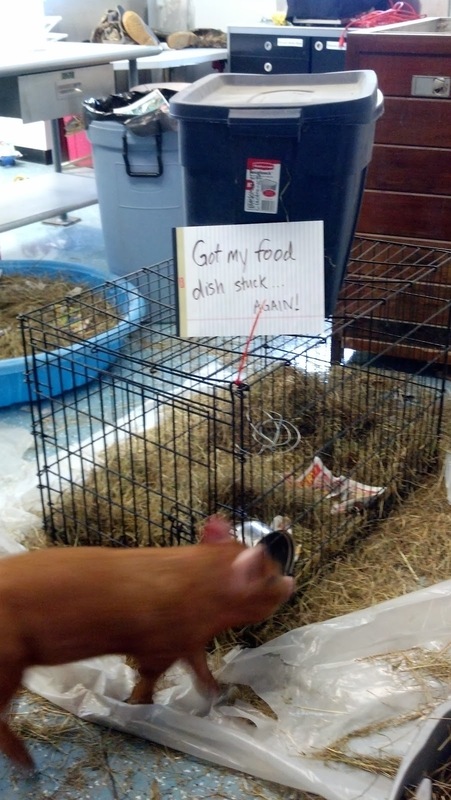 Fork Right Farm Life: A loose pig…in the car! and our journey in raising a family and a farm. A loose pig…in the car! This week’s story is not my own experience, thank goodness. It was time for the little boar pigs to be…ahem…fixed. On the farm, this is typically done in-house, but since this is our first time around, Jim took them to a vet to learn the best technique. First he had to catch them without mama sow freaking out. Matt read somewhere that if you got her drunk, she wouldn’t be as hostile. He bought a bottle of cheap vodka at the liquor store and they fed the sow a few vodka soaked slices of bread. The first two little boars were easily caught and he loaded them into the small cage Bacon had previously been in. The third little boar was another story; he didn’t want to be caught and he was sure to tell the whole world when he was. He was loaded into a small pet carrier by himself. Jim wasn’t far down the road when he heard a ruckus in the back of the car. The little pig had busted out of the carrier and was loose! (What would you do?!) He pulled over and just scooted the other cage away from the back seat enough that this little pig could wedge himself in close to his brothers. He was content for the rest of the ride. Once they returned home, mama sow had lost her slight buzz and was not happy to have her squealing pigs returned in different shape than when they left her. 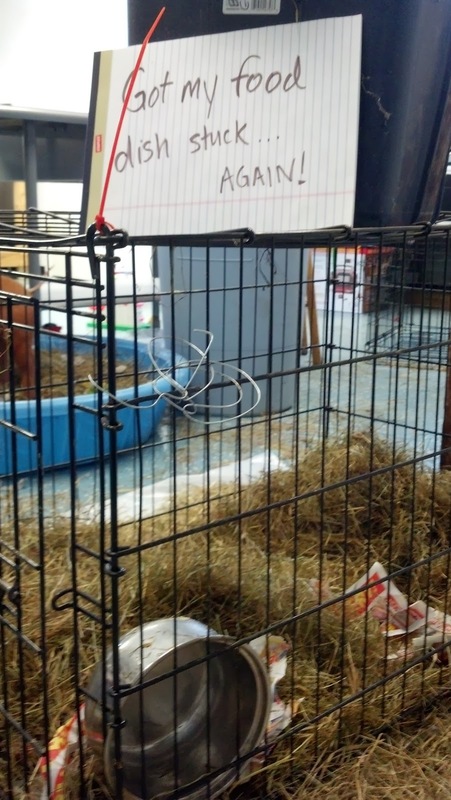 Jim couldn’t release them fast enough and get out of the barn. 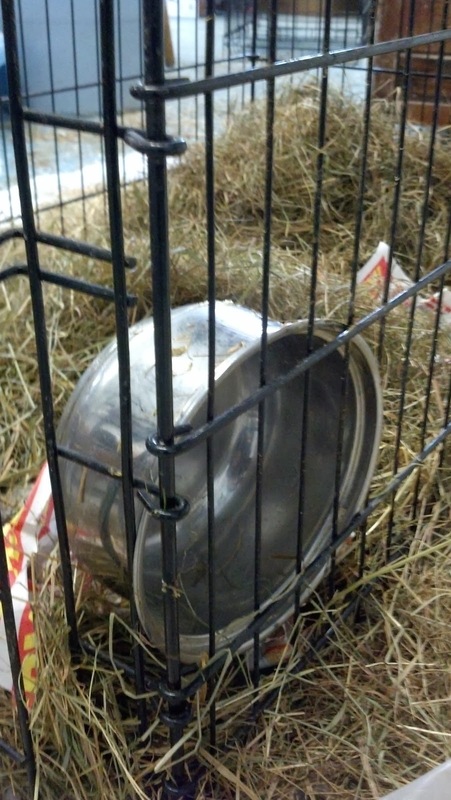 In other news, the pig-shaming continues with Bacon who wedged his food bowl in the corner of the cage again; of course on a morning I was in a hurry. And..he spilled his dish on me twice that same morning. I'm told he will be evicted this weekend to reunite with his cousins when they wean. I'm counting down. Fork Right Farm, LLC . Copyright 2013 . Awesome Inc. theme. Powered by Blogger.